A couple days ago both my dogs started coughing and gagging. Oh boy…now I had heard of kennel cough, but now I was asking the question: What To Do If Your Dog Has Kennel Cough? I assumed my two dogs had kennel cough and luckily already had a vet appointment set up for Stetson’s ear (he developed an ear infection a few days earlier). I did a little online research to try and find out what symptoms were involved when your dog has kennel cough. A dry cough with unproductive gagging…that sound about like what my dogs were doing. It actually sounds very similar to what my dog’s would do when they pull to hard on their leash/collar. They usually cough a couple times then make that gagging sound. Where did my dog’s get kennel cough from? Well, I narrowed it down to a couple different places. First, I heard that the incubation period for kennel cough is usually about 8-10 days. Stetson was at the kennel a little less than two weeks prior to his symptoms. That’s a little longer than the expected incubation period, but I assumed well within the realm of possibility. Stetson has also come nose to nose with two dogs in our neighborhood within the last 8-10 days. He also has puppy class once a week where he meets with the same 5 or 6 dogs for training. Finally, my dog’s have interacted with five other dogs, three of which they had never met before. After researching and calling my friends to let them know my dog had kennel cough I found out that one of my friends dogs began having kennel cough symptoms around the same time as Stetson and Linus. All three of our dogs played with two new dogs approximately 9 days before we saw kennel cough symptoms. I’m now assuming that one of the two new dogs may have been contagious for kennel cough. However, neither of the two new dogs had shown or has shown kennel cough symptoms. I guess my question now is when are dogs contagious for kennel cough? Can dogs be carrying kennel cough, but never show symptoms? If anyone has answers to these questions please let me know. Otherwise I’m going to check into this myself. What To Do If Your Dog Has Kennel Cough? Right now Stetson is taking antibiotics for kennel cough and Linus is not. I’ve read and heard from friends that kennel cough will usually just go away on it’s own without the aid of antibiotics. It’s very similar to the flu in humans. The vaccination for kennel cough is bordetella vaccine which Stetson was on and obviously did not help him. I guess, the vaccine is also similar to the flu vaccine where it defends against the common viruses/bacteria, but not all forms of the virus/bacteria. However, it’s important to make sure the symptoms don’t become worse or it’s probably a good idea to see your vet. Stetson and Linus both act like nothing’s wrong with them and just play around like usual with an occasional cough or gag. I’m going to leave Linus off the antibiotics for now and monitor his health very closely. If he seems to regress at all I will definitely make a trip to the vets office. I’ll let you know how things go with both my dogs…Antibiotics vs. No-Antibiotics. Have you and your dogs experienced kennel cough? 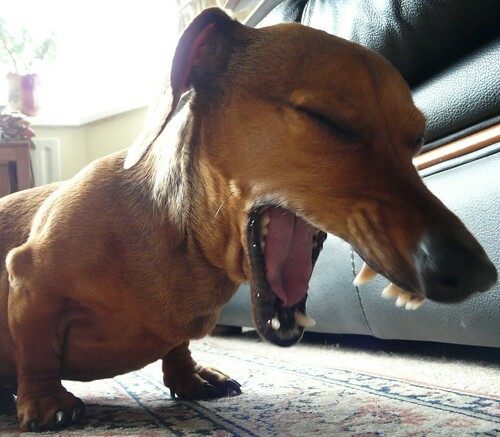 What did you do to help relieve your dogs symptoms? Disclaimer: I’m not an expert in any of the above information. This is only from my experience and things I’ve read and heard…please don’t take my information as fact and do your own due diligence. If you have any questions please contact veterinary experts. Thank you. It’s been about 9 days since I put Stetson on antibiotics and of course I have not been giving Linus antibiotics. I haven’t noticed symptoms in either dog for about 7 days. So, it seems that the cough cleared up for both dogs whether or not they were on antibiotics. I’m still not sure if antibiotics are necessary for kennel cough. However, I do recommend you keep a close eye on your dog anytime they are sick. My dog is alittle over a year and he when he was a puppy kinda coughed,but now he’s older it sounds like its gettin worse its a dry,hacking almost pucks off it.It makes him gag i’m really worried about what it might be and need help.I’m really broke but will do anything to help him.So PLEASE anyone help me……. Your dog’s symptoms sounds very similar to what Stetson had several years ago. You should take your dog to the veterinarian for a proper diagnosis and medication. @Sarah, kennel cough can be fairly common in a place like an animal shelter. However, you should take your puppy to the veterinarian for a full examination. Hopefully everything is okay with your pup. We had our little Becca spayed two weeks ago. She had a hard time coming out of the anesthetic so we left her over night. 8 days later she developed a hacking cough and spitting up white phlem. I called the humanne society they said the number of kennel cough animals were very high coming from this particular vet. They gave her a shot of pennicillian, and keycotuss for cough. This is only day 2, but I will say, I gave her 1/2 of baby benedryl and that helped her cough better than the keycotuss. including stroke and mind tumors.